Here you will find the entire collection of Scoutmaster Minutes. As the overhead lights comes on I hear the voice of someone saying, "Time to get up, sweetie-pie." O don't recognize the voice. Must be a new worker. Before I can scarcely open my eyes, a chill comes over me as the blankets on my bed are pulled down to reveal my uncovered legs. My nightgown has shifted up during the night, and my "everything" is showing. "Time to get out of bed, honey. Let's go, let's go." By now I have been pulled to a sitting position, and my worker is reminding me that we have to hurry and get ready for breakfast. Before I know it, I have been lifted into my wheelchair, and am on the way to the bathroom. I am placed on the toilet and left to go to the bathroom with the door standing wide ope. Brr... I'm cold. I let out a shriek! I wait and wait. No one comes to assist me. I finally hear the voice of my coworker. (Wish she would tell me her name.) Ready to get into the tub?" I prefer to take a shower, but she doesn't have my communication board so I can't tell her that. I am soon sitting in a tub of lukewarm water. Brr... I'm cold. I let out another shriek! While sitting in the tub, another worker comes into the bathroom to talk to my worker. They are making plans to go to the movies Friday night. My worker tells the other worker that I was stubborn about getting up this morning. She tells her that I wasn't very cooperative about taking a bath. She says I yelled and made a lot of noise. The other worker leaves, and my worker tells me that we don't have time to shampoo my hair today. It will have to wait until tomorrow. Doesn't she know how important is is to me to have my hair look nice EVERY DAY? After my bath it is time to get dressed. My worker has chosen my outfit for the day - a pair of jeans with a broken zipper, and an old tee-shirt. She tells me that the tee-shirt will cover up the broken zipper. She runs a brush through my hair, but says there is no time to fix it before breakfast. I try to tell her that I wanted to wear make-up today, but she doesn't listen. "Come on honey, we've got to get going if you want to eat breakfast today." It's off to the kitchen where my breakfast is sitting on the table. The eggs and toast are cold, and my milk is warm. 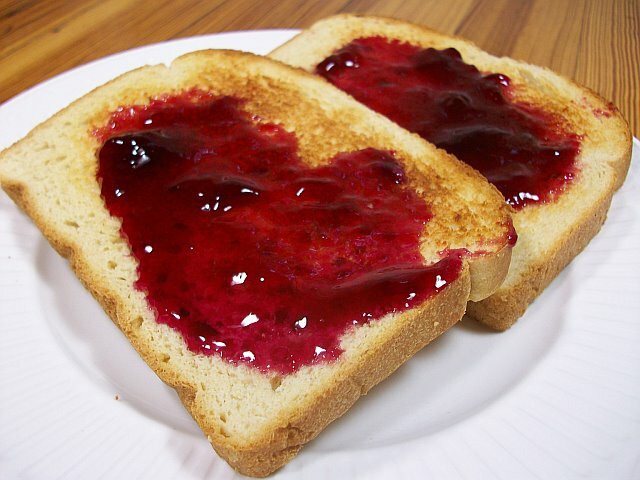 Grape jelly is already spread on my toast. I hate grape jelly. i don't want to eat it. i shake my head "no". My worker says that I better shape up or I on't get to eat anything before I go to work. She pushes my plate closer to me, but has not given me my adaptive silverware so that I can feed myself. "Boy, she's stubborn", she announces to the others in the kitchen. After 10 minutes my worker tells me it's time to leave for the workshop. It;s back to my room to get my coast. There's no time to brush my teeth, and wash the milk off my face. She doesn't t ask if I need to use the bathroom before leaving for work. My communication board is lying on the dresser, and the worker grabs it and sticks it into my bag. (Wish she would tell me her name). "Let's go honey, the bus is waiting on you." "You never again will pass this way. "Why build you this bridge at even tide?" "A youth whose feet must pass this way. "Good friend, I am building this bridge for him."